A.T. Kearney, which was the original split from McKinsey & Company, has a storied and impressive history. Now known to be THE best sourcing, procurement, and operations consulting firm in the world, A.T. Kearney is impressive on multiple fronts. However, the firm’s acquisition and re-independence in the last 20 years – plus its notoriously nasty work-life imbalance – make it a great but challenging place to work. A.T. Kearney’s fascinating history begins with none other than current competitor McKinsey & Company. Founder Andrew Thomas Kearney was hired by James McKinsey as his firm’s first partner in 1929. McKinsey’s unexpected death in 1937 ultimately led to the firm’s division into two practices: McKinsey & Company and A.T. Kearney & Company. A.T. Kearney opened its first international office in 1964, launching a fast-paced global expansion that peaked between 1985 and 1988. The firm was temporarily acquired by Electronic Data Systems (EDS) in 1995 but was bought back by partners in 2006, just in time for the company’s 80th anniversary. 1995 – A.T. Kearney becomes a wholly owned subsidiary of EDS in September, nearly doubling in size and vastly expanding its industry expertise and information technology capabilities. Firm hires 2,000th employee. 2005 – EDS CEO, Michael Jordan, confirmed rumors that EDS was seeking to sell A.T. Kearney back to its management team. More than 170 A.T. Kearney officers from 26 countries participated as investors (90% of those invited to participate did so). Since its management buyout in 2006, A.T. Kearney has been restructuring itself with the goal of major expansion. The company’s vision is to compete with the top management consulting firms in the industry, and it has been scaling up through the acquisition of multiple boutique firms with that goal in mind. A.T. Kearney’s Analytics Practice works to provide companies with the competitive advantage in their arena by translating raw data into valuable insights – enabling clients to turn these insights into strategic goals. Within analytics, A.T. Kearney specializes in 4 areas: Analytics Transformation, Big Data Analytics, Data Visualization and Predictive Analytics. Keeping up with the constantly evolving digital world can be tricky for companies – learning how to decipher the trends, keeping up with innovations and implementing it into their existing systems can be overwhelming. A.T. Kearney’s digital business service aims to help these companies stay at the top of their game in the digital world – separating hype from potential digital disruptors & developing specific digital strategies designed around the company’s capabilities. Understanding the essential need for innovation in companies, not only does A.T. Kearney help companies increase their profitability in their innovation cycle, but the firm works to help companies identify, track and grow their innovations – turning ideas into profitable entities. There are 4 capabilities to A.T. Kearney’s innovation practice: collaborative innovation, innovation portfolio management, innovation strategy and R&D performance strategy. Each company faces substantial challenges in the ever evolving face of marketing due to consumer trends and industry dynamics. A.T. Kearney aims to provide support for companies by helping them stay ahead of new market developments and positioning them to capture new opportunities. They work collaboratively with their clients to drive transformative change and profitable growth—while ensuring sustainable business success. Mergers and acquisitions are significant undertakings that hold unlimited potential coupled with a high risk of failure. A.T. Kearney aims to provide expertise through strategy, integration (for mergers), due diligence and divestitures to companies that need to navigate this process ensuring it results in significant shareholder returns. A.T. Kearney works collaboratively with companies to transform their operations in order to gain an unprecedented competitive advantage. They commit to going the nine yards with companies starting from strategy all the way to execution. Part of their commitment involves reducing costs, managing complexity and risks and improving supply chain performance. A.T. Kearney boasts about its Fit Transformation™ methodology, designed specifically to align companies’ strategy, operating model, and people to bring lasting transformation. Their focus is on: structure and governance, processes, technology enablement, resource configuration and capabilities and culture. Their stand out differentiator? A.T. Kearney believes they bring a balanced and holistic approach to the whole process. A.T. Kearney recognizes the importance of procurement as it increases in complexity and scale. Thus, they work towards creating or upgrading current purchasing processes to enhance efficiency and maximize savings. A.T. Kearney boasts about being the first global management consultancy to develop a strategic IT practice. Their capabilities cover 3 main areas: IT-Enabled Business Transformation, CIO Advisory Services and Advisory Services for IT Companies. Their aim is to help companies harness the wide reach and impact of technology to deliver business value. A.T. Kearney’s strategy consultants work side by side with top management to create robust plans and strategies that will not only enhance the current capabilities of the business but secure its’ future too. Working anywhere from the strategy related to the business unit to corporate finance and strategy to strategic foresight, A.T. Kearney’s strategic unit encompasses a wide variety of capabilities. Buyer and customers are becoming more savvy in their purchasing decisions. Sustainability continues to be a key factor in consumer choice meaning businesses need to pay closer attention to their impact on the planet. A.T. Kearney understands this and aims to help businesses make sustainability an integral part – improving lives, communities and the world we live in. A.T. Kearney in its heyday competed with the top players in the consulting industry. However, since the management buyout, due to unclear vision and a brand known for focusing exclusively on sourcing and procurement, the firm has lost much of its original prestige. A.T. Kearney’s significantly smaller size makes it most comparable to firms like Oliver Wyman and Roland Berger Strategy Consultants rather than to McKinsey or BCG. As an undergraduate or non-MBA graduate, you would start out as a Business Analyst or Senior Business Analyst, where you will be developing models, performing complex analyses, and working on research assignments at both the office and client sites. MBAs join the firm as Associates and are involved in all phases of a consulting engagement, from pre-proposal research through final implementation. From there you work your way up into the Manager position. Principals and Partners are elected into their position from amongst the Managers. While A.T. Kearney does not focus on undergrad internships, they do offer 50 – 100 spaces for business school students to intern in their Summer Associate program internship each year. This 6 to 12 week internship is well paid. What does it look like to intern with A.T. Kearney? You’ll start off learning about the necessary tools and methodologies the firm uses for their engagements, paired with information about A.T. Kearney’s strategic direction, practice areas, and industry groups. During the internship, you will be developing models, performing complex analyses, and work on data-gathering assignments. Summer Associates are given the opportunity to travel as they will be stationed both at client sites and in the office. You will be paired with A.T. Kearney consultants; one will serve as an official mentor. The cool part about this internship is that your mentor stays actively involved with you and your project managers throughout the engagement. You can also look forward to a mid-term performance review. As a Summer Associate, you’ll have the opportunity to socialize with other local team members (remember to use these opportunities to network!). Many previous interns highly recommend this internship, as they were able to develop their skills in consulting with the wide variety of opportunities they were offered across numerous functions, industries and geographies. However, the downside is definitely the long hours that they were expected to put in – A.T. Kearney is not known for work-life balance. Advice to potential interns? Culture, culture, culture. Learn about the A.T. Kearney culture and what makes it stand out and embrace change as you’ll be in for a steep learning curve. A.T. Kearney is a strong second tier brand, and as such does not receive the same accolades as the MBB firms. A lot of the work you do deals with A.T. Kearney’s key specialty – sourcing and procurement – so you might be limited in your knowledge when transferring to other firms. Some Business Analysts opt to go back to get their MBA. However, a lot of alumni move on to roles as Managing Directors/Directors for national companies in their region or COO/VP roles, especially from the more senior A.T. Kearney positions. Alan D. Feldman – Board of Directors, JBT Corporation; Board of Directors Foot Locker, Inc; Former President & CEO, Midas (automotive service), Inc.
Steve Bratspies – Executive Vice President, General Merchandise, Walmart U.S. Transfers: You transfer to the country of your choice that then becomes your “host” country where you will be employed under the local terms and conditions of employment in that country. International Assignments: If there arises a need within the firm, you can be reassigned to a different international location due to a temporary, specific, or critical need within a market or functional area. Exchanges: You’ll be given an opportunity for personal & professional development by jumping into a concentrated and carefully designed experience in a different market. A.T. Kearney’s people are the ones that make the firm what it is. The firm is very collegial, and everyone is highly collaborative – but they all work their butts off. As a comparison, Bain is collegial, but the work is not as intense and you will not be on the client site as much. For the most part, A.T. Kearney consultants are known to be extremely down to earth and willing to lend a hand where needed. In addition, you will receive good mentorship. You’ll be given an opportunity to learn and expand your knowledge base through exposure to multiple verticals – although you will focus heavily on supply chain (topics like sourcing and procurement will be your undoubted expertise, no matter which industry you focus on). A.T. Kearney is a great place to launch a career as you get given responsibility pretty quickly, and unlike many smaller niche boutique firms, you are exposed to many different companies and get to work with big name clients on big name projects. Client relationships are highly valued and employees are exposed to clients from day 1. Unfortunately, there are some downsides that you have to be aware of when working for A.T. Kearney. A big concern is the work – life balance. You have to be prepared for Sunday – Friday travel, which is the flip-side of client exposure – you get to meet and collaborate with the client, but you are NEVER at home. Employees also bemoan the lack of variety of projects assigned to them. There are a lot of sourcing/supply chain/cost reduction projects, but after you’ve ramped up the learning curve, work can be repetitive as you deal less with strategy and more with sourcing and procurement. The interview process at A.T. Kearney varies depending on the region you are applying from. However, as a general rule, there are two rounds of interviews. Within the first round of your interview, you will participate in two sets of interviews. As a standard, in each interview, you will be asked to complete a short case study that measures your communication and problem-solving skills. Beware – A.T. Kearney cases are hard and extremely numerical, and you better know your cost side of the profit equation inside and out. 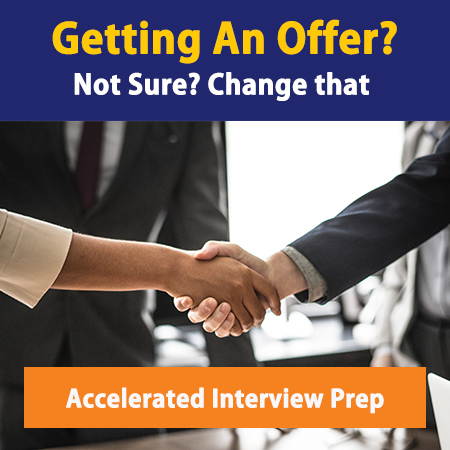 In the other part of the interview (either before or after the case), the interviewer assesses your overall fit – based on your experience, core competencies, and potential client impact. Be prepared to talk about prior sourcing work. No matter how long ago it was, or how small or short it was – it’s never okay to have nothing to refer to. The final rounds will typically consist of two case/fit interviews and, for Associates, one structured case presentation. For the case presentation, you will be given a case with a lot of data included and will be offered time to prepare on your own. You will then present the case to at least one interviewer, but usually for a panel, in one of your interviews (not always the last one). Are you an undergrad, MBA or intern who’s interested in working at A. T. Kearney, but you don’t know how much you’ll make? Check out our latest Management Consulting Salaries post to find out! It’s interesting to note that A.T. Kearney recruits from only 4 undergraduate schools in America. If you are not in a target school, they require you to apply online. A.T. Kearney casts a wider net for MBA students with 10 target schools compared to only 4 at the undergraduate level. A.T. Kearney recruits outside the U.S. as well in China, India, Australia, Japan, South Korea, Canada, Mexico, and Germany.